This week I made this cool pipe-cleaner and magnet activity. I think it would have been more successful if I had a bigger/stronger magnet. This morning for breakfast we made these yummy pancake-battered apples. My daughter loved them (and so did her mama). I think this afternoon we will have some marble painting fun! 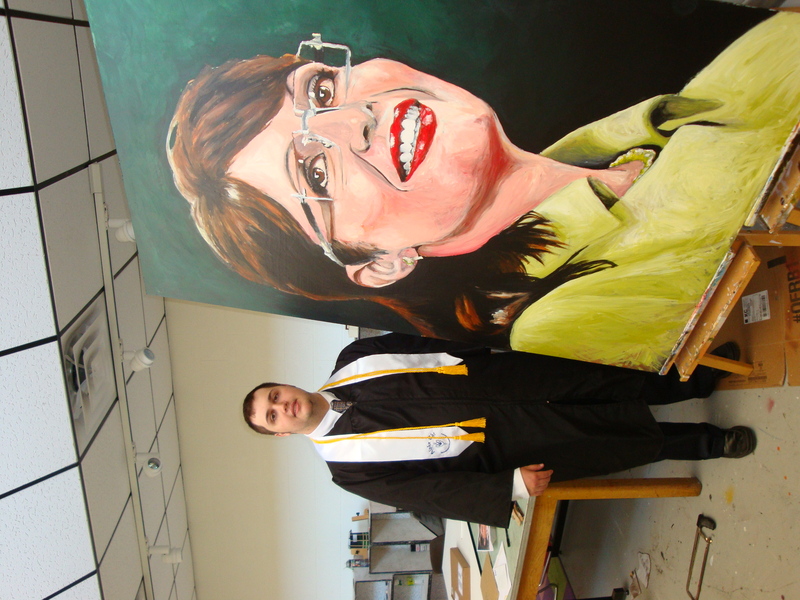 I don’t want this to be a political post (those of you who know me, know where I stand…)- but isn’t this painting of Sarah Palin outstanding? My littlest brother painted this in one afternoon! 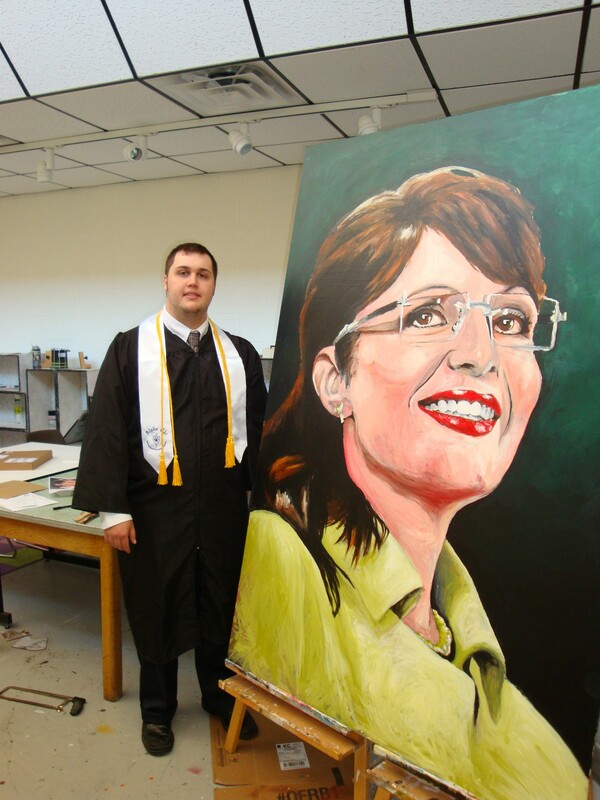 I am so inspired by his boundless creativity and artistic talent.